You are here: Home / Product Reviews / Eco Living Guides / Food For Thought – Chemical Sensitivities! Chemical sensitivities and heavy metal poisoning can cause alot of health problems, add stress to relationships and affect your home and work life. These books will give you an insight on what you are eating/drinking and breathing in etc. 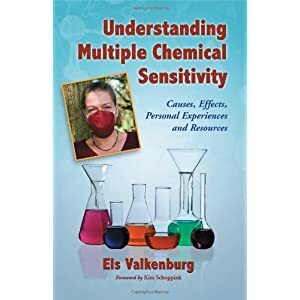 Understanding Multiple Chemical Sensitivity: Causes, Effects, Personal Experiences and Resources by Els Valkenburg sold on Amazon. Valkenburg lives in the Netherlands and provides a personal view of multiple chemical sensitivity and environmental illness which is supported by research. The book provides a question-and-answer format about perfume, smoke, air fresheners, cleaning products, exhaust, and other air contaminants and whether they affect you. Your ‘yes’ answer may then be linked to symptoms such as headaches, allergies, asthma, and fatigue etc. You can buy Valkenburg’s book in paperback or on kindle. 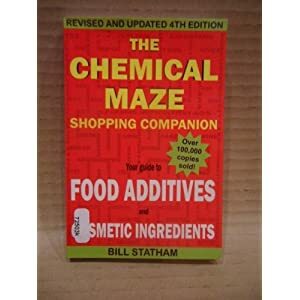 The Chemical Maze Shopping Companion, by Bill Statham is a fantastic reference shopping companion guide. Find out what additives are put in foods and the numbers they represent. Looking for a particular book? Let Erin’s Eco List do the searching for you.